The world of sci fi have some beautiful locations, have a look at some of the best locations that you can actually visit. 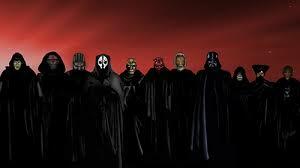 The Star Wars saga is one of the world's most successful and best-known film series. The prequel trilogy of Episodes I to III (1999-2005) shows the gradual demise of the Old Republic and the rise of the first Galactic Empire. In the original trilogy of Episodes IV-VI (1977-1983) the galaxy is dominated by the empire, fought by a Rebel Alliance to free the galaxy. 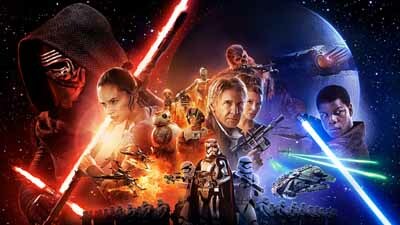 The seventh episode, " Star Wars: The Force Awakens " is the start of a new trilogy that will be released over the years to come. Although large parts were produced in the studio and on the computer, a lot of real world locations can be found throughout the films. The site of the desert planet Tatooine, home of Anakin and Luke Skywalker, is the village of Tataouine southeast of Tozeur in Tunisia. Southern Tunisia was also the scene of several other scenes of the saga. Other Star Wars film locations are among others in Italy, Spain, England, Norway, Guatemala and the United States. Despite hard climatic conditions such as sandstorms and intense heat, Episode I, as well as the films of the original trilogy, were filmed in Tunisia. Near the city Tataouine, the two granaries, Ksar Hadada and Ksar Ouled Soltane, served as a slave quarters. Today, part of the Ksar Hadada has been converted into a small hotel. 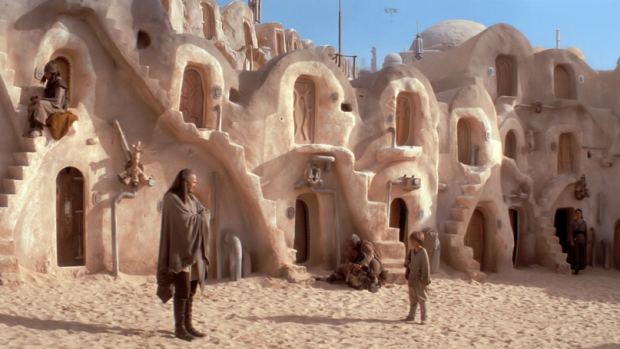 Another property in Medenine, served as home of the young Anakin Skywalker, there is also the narrow street where Anakin leaves his mother. Scenic background for the podrace was taken from Sidi-Bouhlel gorge in the west of the country, now known as Star Wars Canyon. There, incidentally, "The English Patient" was also filmed. The salt lake in Schott El Gharsa served as the backdrop for the accident in podrace. The set of Mos Eisley is located not far away at Nefta, near the Algerian border. The interiors of the palace of Queen Amidala of the planet Naboo emerged in the baroque Palazzo Reale in Caserta, north of Naples. The Royal Palace is open to visitors. There are also Vatican scenes "were Illuminati " and " Mission Impossible III ". As a backdrop for the forests of Naboo the WHIPPENDELL Woods, Watford, England, not far from the Leavesden Studios. The exteriors of Varykino, the country estate of Naberrie family on the planet Naboo was filmed in Northern Italy on against the backdrop of Villa del Balbaniello. Here, the now adult Anakin (Hayden Christensen) and Padme (Natalie Portman) come closer and kiss on a terrace overlooking the lake. Later, the site serves as a venue for the secret wedding of the two. The villa is located on the tip of the peninsula Lavedo in Lenno and represents the sanatorium, in the James Bond (Daniel Craig) in " Casino Royale " From Lenno there is a private boat service to the villa, otherwise they can be reached on Tuesdays and weekends on foot, about 800m from the boat dock. The garden can be visited during the summer months except Monday and Wednesday. 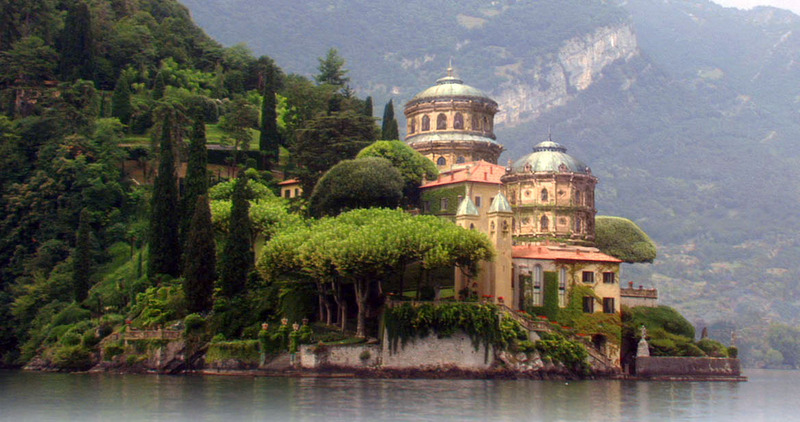 On the western shore of Lake Como, in a meadow between Tremezzo and Griante, the picnic took place between Anakin and Padme. The domed building on the desert planet Tatooine, was in the Cliegg Lars, the husband of Anakin's mother, is the salt level Schott el-Jerid, near Nefta in Tunisia. The small building, which is Lars Homestead, was completely derelict and was renovated in 2012 by Star Wars fans costing 12,000 dollars that was raised on the Internet under the slogan "Save Lars". The interior photographs were taken in Cave Hotel Sidi Driss in Matmata, which will be seen later as Luke Skywalker's home. Plaza de Espana was made famous worldwide, in the film, Padme and Anakin walk over a footbridge and through a sky-lit arcade, which is in truth the middle of Seville. Actually, on the edge of Parque de Maria Luisa. In the film the place was extended to a full circle using CGI . The Wookiees planet of Kashyyyk is almost entirely covered with forest this was filmed in Thailand and Guilin in Guangxi, China. The beautiful venue on Li River can also be seen in "The Painted Veil" with Naomi Watts and Edward Norton. 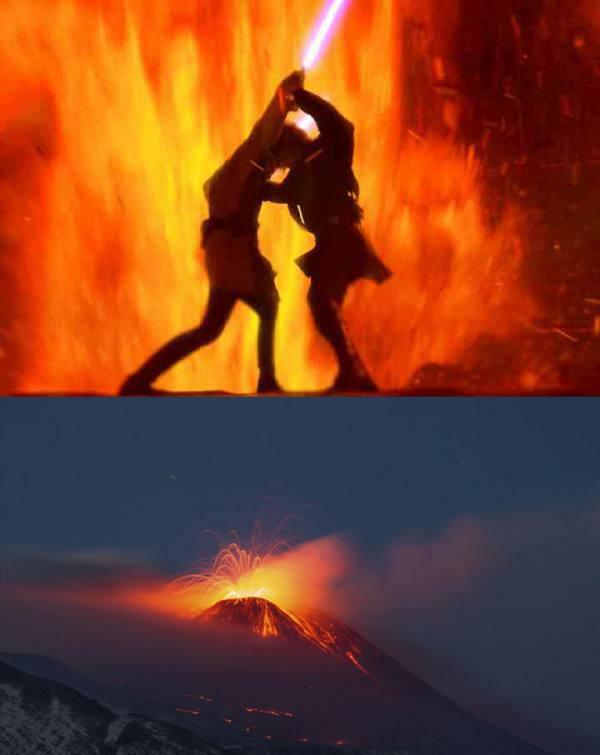 Some shots of the hostile planet Mustafar originated from Etna in Sicily. As producer Rick McCallum and the film crew were on site, this broke out straight and so emerged very real shots of the volcanic planet where Obi-Wan Kenobi and Anakin or Darth Vader fight each other. Since Padme dies in childbirth of twins, small Luke comes to Tatooine, in the care of Owen and Beru Lars: location is again Lars Homestead from Episode II in Tunisia. Sister Leia Organa entrusted Senator Bail, the scenery of the planet Alderaan was filmed near Grindelwald in Switzerland. Tunisia was the location for the desert world Tatooine, Lukes home with Uncle Owen and Aunt Beru in turn consists of Lars Homestead in Schott el Djerid (exteriors) and the Cave Hotel Sidi Driss in Matmata (interiors). Comfort can not expect the traveler in this Tunisian property with camp beds, but there is the breakfast area, which was supplemented for the film to murals and tiles. As a backdrop for the city Mos Eisley, Ajim served on the Tunisian island of Djerba. A mosque outside the city served as the set for more shots in Mos Eisley and the power plant in Anchor Head. Nearby there is also Ben Kenobi's home, high up in the mountains, but directly by the sea. Other recordings for Tatooine include shots from Death Valley National Park in California. The moon Yavin IV is dotted with ruins of ancient temples of the ancient Sith Empire, these ruins is the Mayan temple complex of Tikal in the rainforest of Parque Nacional Tikal in northern Guatemala. Location for the ice planet Hoth was the glacier Hardangerj�kul in Norway near Finse, it is quite easy to reach from the two biggest cities in Norway, Oslo and Bergen. From Finse there are hiking trails in and around the glacier area. There are also guided glacier walks and ice climbing. The studio recordings were made at Elstree Studios in Borehamwood and the Lee International Studios in Wembley, London. The desert scenes were shot in south eastern California, in the endless sand dunes of Buttercup Valley near Yuma. 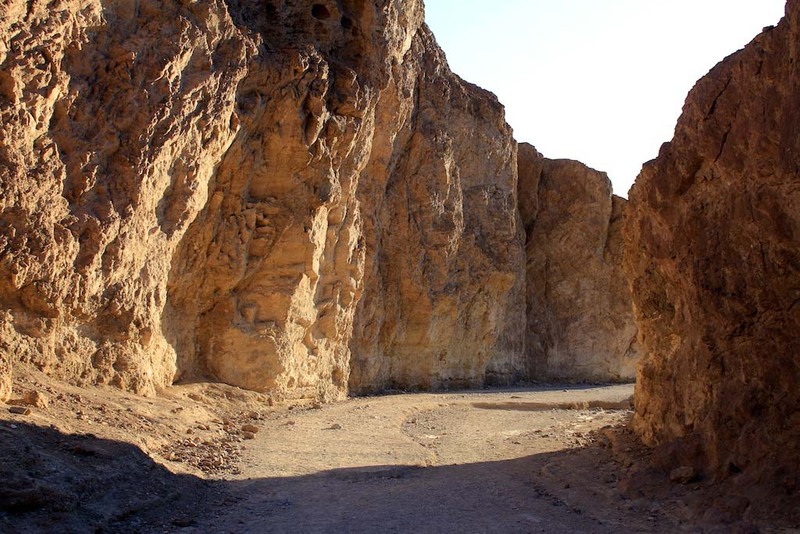 The Twenty-Mule Team Canyon in Death Valley in the film representing the road to Jabba's Palace. The giant trees the moon Endor are in truth in Jedediah Smith Redwood State Park, in the northwest corner of California. In April 2014, filming began for the seventh installment of the saga at Pinewood Studios. The film was the first episode of the new trilogy locations included Ireland, Iceland and Abu Dhabi. 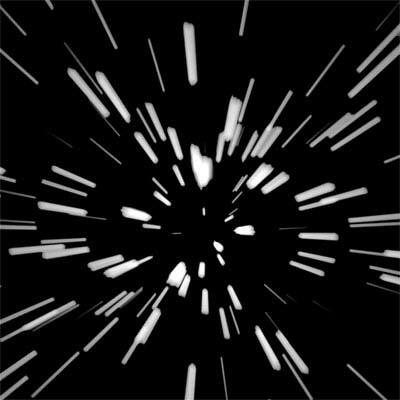 The shooting of the spin off "Rogue One: A Star Wars Story" was completed in February 2016 and were also held in the Maldives, England and Iceland. The film, which is located between episodes III and IV, comes out 15th December 2016 .